This fun gift is suitable for all happy occasions and all recipients too. We have chosen a cute winking smiley balloon that measures 18 inches and is filled with helium. 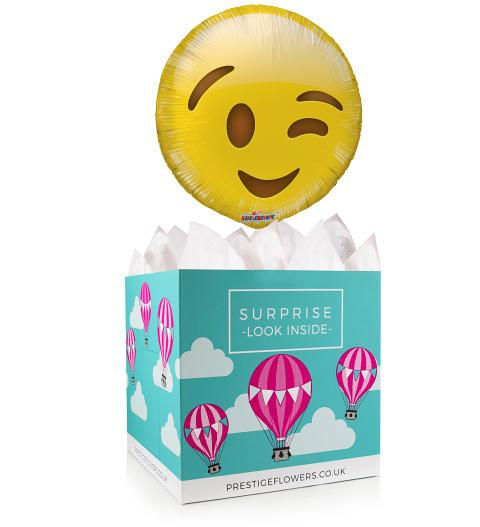 We have also included a lovely gift box with a tissue paper lining for presenting your gift. Feel free to include a special message and take a look at our optional extras like cake, chocolates, cuddly bears, and wine.